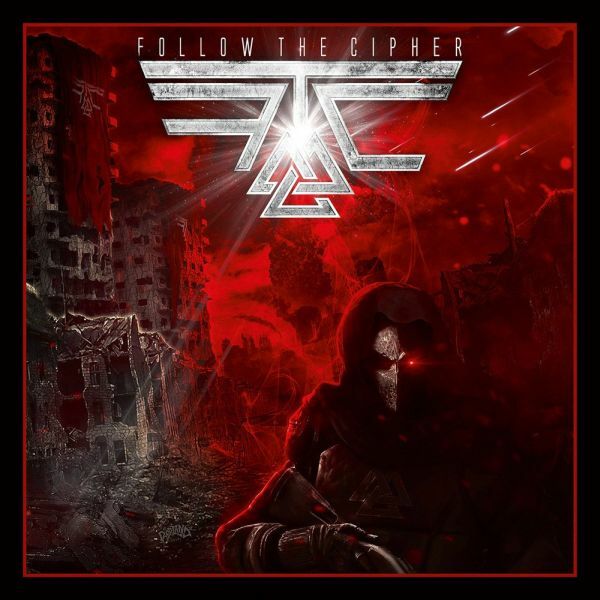 FOLLOW THE CIPHER - FOLLOW THE CIPHER | Releases | Wizard LTD. SHOOTING STARS FOLLOW THE CIPHER RELEASE THEIR DEBUT! Falun – this magical city in the heart of Sweden, surrounded by idyllic forests and deep blue lakes, emerges more and more as a creative center for ambitious and talented young bands. Is it in the water? Is it in the air? No one knows, but it remains a fact that Falun is the glorious birthplace of some of the most promising and hottest acts on this planet. After spawning bands like SABATON, TWILIGHT FORCE, CIVIL WAR and BILLION DOLLAR BABIES, Falun now has a new up-and-coming crew in stock. Forget everything you thought you knew, because FOLLOW THE CIPHER are ready to herald in a new musical era and crash through the many dimensions of our universe to steal your breath. Despite their stylistic diversity, the Swedish metal act creates a very cohesive ambience, mixing a first class sound with magical charisma, an innovative concept, live presence and an incredibly talented singer. Let&apos;s take a little look into the past: FOLLOW THE CIPHER’s story started in May 2014, when Ken Kängström decided to start a band with the intention to be different from everything else in the music scene. The idea itself had been haunting his mind for years, but the catalyst to finally put his thoughts into action was the result of a longtime collaboration with the internationally acclaimed metal giants SABATON, with whom FOLLOW THE CIPHER maintain a close friendship. Ken Kängström is definitely not a newcomer in the Scandinavian music scene, since he co-wrote and co-produced some well-known SABATON songs with Joakim Brodén, such as the monumental anthem ‘Carolus Rex’. It was this track which got the ball rolling for Ken: "I think the song sparked the first inspiration in me – in particular, it was responsible for me starting to trust my own abilities and judgment," Ken reflects. "When me and Joakim wrote this track, I felt deep inside that it was time to put my plans with FOLLOW THE CIPHER into action." Therefore, the band has also included a version of this important track, ‘Carolus Rex’, on their debut album. The CIPHER crew consists of five talented members; Linda Toni Grahn, a fantastic and highly talented singer, with long pinkish red hair and emerald eyes, equipped not only with a powerful and characteristic voice, but also outstanding charisma. When taking to the stage, all it takes are a few seconds for Linda to capture everyone’s attention. "Linda is unique - she stands out from the crowd, not only as a great singer, but also as a charismatic personality! Immediately after meeting her, I knew she would be the right person for us!” Ken Kängström (guitar) recalls the first meeting with their female captain of the CIPHER workforce. Other crew members include Karl Löfgren (drums), Viktor Carlsson (guitar) and Jonas Asplind (bass). FOLLOW THE CIPHER are already enjoying a strong fan base among other musicians and for their grandiose anthem ‘Starlight’ they gathered several star guests from the Swedish metal elite, such as Joakim Brodén (SABATON), Nils Patrik Johansson (ASTRAL DOORS), Johnny Lindkvist (NOCTURNAL RITES) and Ronny Hemlin (TAD MOROSE). To cut a long story short, the CIPHER crew is more than ready to take you on an exciting journey through the darkest galaxies of metal. Are you ready to join them? It&apos;s time to open a new chapter of heavy metal history – it&apos;s time to FOLLOW THE CIPHER!